Root Flair or Flare (sic?) - Above picture: I have been dissecting trees for ten years and have not found a root flair yet. Trees have truck flairs, but I know of no such root flairs . Why is this important? It could save your life. Especially, if you are a climber. There are certain decay causing fungi that discriminate between woody root tissue and woody stem tissue. Thus the tree may have trunk flair but no woody roots. 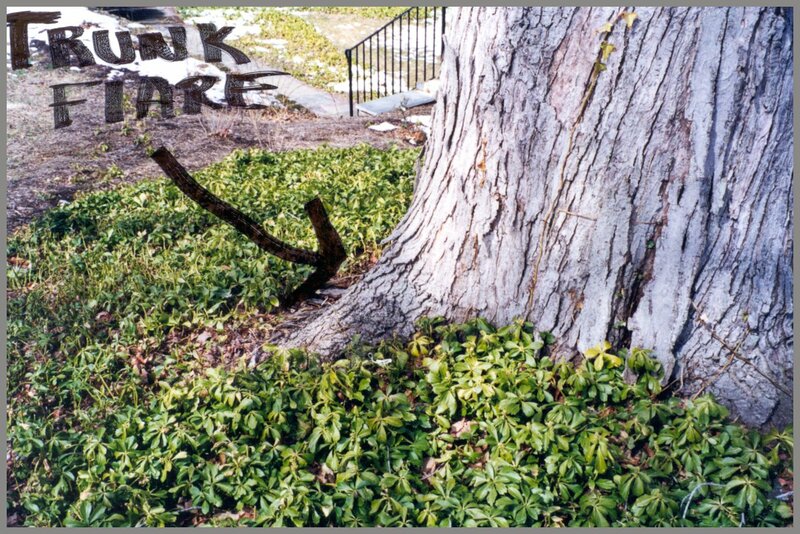 In addition, product pushers claim by injecting into root flair you help the tree? They obviously flunked anatomy. Real nasty products! In other words. It is impossible to have a root flair. Too often, people who have not dissected trees claim the flair at the base of the truck is a root flair. Click here for more on trunk flairs.